The influx of migrants that had embarked the shores of Port Melbourne were not only diverse in their labour skills but also in their academic knowledge. As more of them established themselves in their new homeland so did the need to belong to a group that they could identify with and that they could share their common language, traditions and customs. Thereby we see the bourgeoning of locality organizations, community groups, brotherhoods, federations, and other clubs being created.Thus in this climate an idea originated to establish an organization that had no locality affiliations or barriers, but to focus solely on the advancement and pursuit of the Greek letters and culture. The creation of this organization was also the result of an intense desire for social communication both on the individual level and on the communal level. The need for a common linguistic, cultural and even psychological outlet was certainly the only means for survival for the migrants in a land with foreign customs, language and a different social cohesion that did not offer such specific services. So in 1963 an attempt was made by a band of enthusiastic, young, literary men and women and they formed the “The Hellenic Writers Federation of Australia” with Konstantinos Alexander-Malaxos, philologist, polyglot and gnostic as their guiding light. Unfortunately after a few years Mr Malaxos left for Greece and the group disbanded. 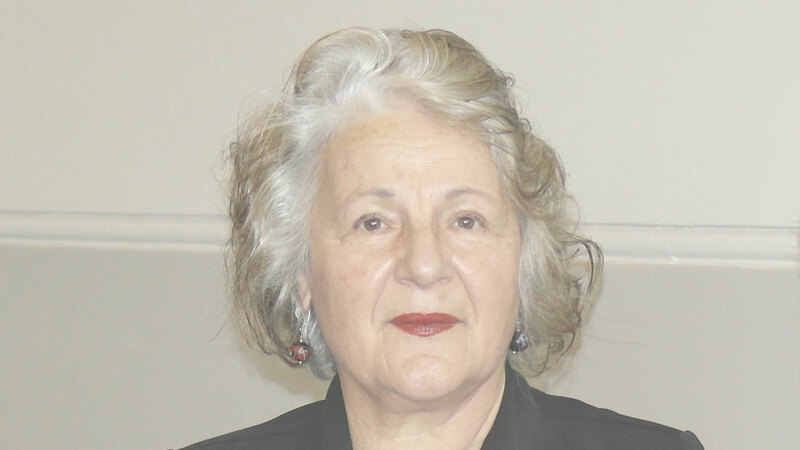 But the thirst still existed and in 1970, in the presence of 46 committed, literary devotees the Greek Cultural League of Melbourne was founded in the Greek Community of Melbourne and Victoria. In 1981 the name was changed to the Greek-Australian Cultural League of Melbourne. The GACL came into being at a period of maturity by the community, when after 20 years of mass migration, uprooting, uncertainty and period of adjustment came something that they could identify with and call their own. • To maintain and advance Greek language learning. • To maintain the Greek ethos and cultural traditions and their exposure to the multicultural society of Australia. • To encourage and organise cultural and artistic events relevant to attracting a younger audience. • To create working relationships with comparable organizations and of other minority ethnic groups. In order to fulfil its aims and objectives the League published the “Antipodes” periodical in 1974. This is the longest published, bi-lingual periodical circulating in Australia with 60 printed volumes, counting this year’s publication. Chris Fifis, one of the founding members, gave the name of “Antipodes” thus establishing the geographical location of its inception and place of publication. The periodical has played a major role in the promotion of the flourishing Greek-Australian literature which coincides with its period of circulation. Within its pages a large number of Greek-Australian writers have found their voice and become household names- at least in the Greek circuit. Each year the periodical pays a special tribute to Greek-Australian men/women of letters, those who have helped to maintain and encourage the Greek culture and history, and to artists (visual and performing) who have made a substantial contribution to the Greek community in Australia. With the inclusion of articles, essays, reports, critiques, studies, book reviews and other academic dissertations, the periodical has served and will continue to contribute as an important archival and reference depository for future researches. Another point of note is the recognition that this periodical has received from Greece. Over the years we have had many submissions for the periodical by not only notable Greek writers but also by academics and well known Greek personalities who are familiar with the high standard that the periodical has attained. In conclusion, for the past 41 years the periodical “Antipodes” has formed the backbone of Greek-Australian literature and has given the opportunity to all admirers and followers of the written word the chance see their works in print in a prominent literary periodical. In order to facilitate the realisation of its aims the League in 1980 initiated the annual bi-lingual Literary Competition in the categories of poetry, short story, and recently one-act plays. The first prize recipients, in each category, as an extra incentive have their work published in the periodical “Antipodes”. What has become evident in the recent years is the large number of participants in this competition from Greece as well as from other parts of Europe, including Cyprus. This of course is due to the electronic technology available to us with the press of button. The League’s name has certainly broadened its perimeters and the boundaries have been abolished. Over the course of the years we have acknowledged the work of the founding members and supportive friends with special tribute events showcasing their diverse skills. We have received invaluable support from many academics –too many to mention, from all over Australia in the form of meticulously researched and inspirational articles, invaluable services and scholarly analysis. I would like to publically thank them and acknowledge their contribution. We are most grateful for the admirable and insatiable contribution from all these fervent supporters who have spent their time in writing quality material to be published. Through the League’s portals many well known Greek-Australian writers have entered its domain-to name a few: Dimitris Tsaloumas, Tom Petsinis, Nikos Ninolakis, Aristidis Paradissis, Nikos Nomikos, Yiannis Vasilakakos, Stathis Raftopoulos, Antigone Kefala, Dina Amanatidou, Vasso Kalamara and many others. I would also like to mention that the League has foreseen and predicted the need to become more relevant and embrace the younger generation and the new venues of communication-our old website and blog were upgraded and consolidated in one new site which includes an online bookshop too, as well as other interactive social media such as facebook, twitter and instagram. In the past few years there has been a concerted effort to include second generation men and women into our Administrative Committee as well as broadening our membership base with new members from different age groups. We also organize events that are more relevant to second generation poets, writers and artists. A few of these are in both languages for instance translated books or bi-lingual poetry. We organised for the 4th year in a row an Art Exhibition called “Antipodean Palette” at Steps Gallery, Lygon St., Carlton, to showcase second generation artists, of Greek descent and of course incorporate the talent of some first generation artists as well. At this exhibition we have also included the works of artists of non-Greek background. We also organise poetry evenings and book launches while the exhibition is on. We are indeed very proud and gratified that a number of first and second generation writers of whom the Cultural League has supported and promoted participated in the inaugural “Antipodes Writers Festival” held at the Wheeler Centre in 2012. We are a non-profit organisation that relies on membership payments, generous donations and grants from the Victorian government for its running costs. Through prudent financial management we have been able in 2010 and in 2011 to support the Modern Greek at Monash University through scholarships or a contribution for the payment for the lecturer. From its establishment the GACLM organised frequent talks, lectures, poetry evenings, outings, trips, dances, musical interludes and many other events. Another of the important activities of the League has been the countless book launches-books written in either Greek, English or translated versions by Greek-Australian writers. Without these book launches the community would not have become familiar with the literary creations that are around and the writers would not have had the necessary avenue to familiarise their labour of love to a broader, supportive audience. In the past years we have also presented and promoted books written in Greece by Greek writers who have come here to present their books. A notable mention is when in 1981 the world famous writer, Antonis Samarakis came to especially to Australia to launch his translated book “The Passport”, translated by Prof. Gavin Betts. The League has managed to co-exist and form common bonds with other organizations that have similar interests, therefore in the course of the years the majority of the events have been co-organised with other affiliated associations. We have also participated in events that have been beyond the Greek community… Poetry in translation at Federation Square, poetry recitals at Readings book shops, Book exhibitions at Fed. Square, etc. Due to the multifaceted services that the GACL has offered to the Greek-Australian community for over 40 years in both the literary, cultural, educational and social sectors, the Meritorious Service to the Community award was granted to the League from the Victorian Award for Excellence in Multicultural Affairs, in 2006. Over the years the League has been managed by a group of hard working, enthusiastic, diverse, talented and honest volunteers who have formed the various Administrative Committees. These men and women have not only devoted countless, precious, private hours of their time but have financially assisted in organizing the innumerable functions that the League has undertaken. They are the essence and the mainstay of the success behind the League’s proud longevity. And of course we must not forget the supportive membership base that have tirelessly contributed and attended the various events all these years and have not only benefited the League in realizing its aims and objectives but they have established long lasting friendships and networks as well as creating the cultural and Literary foundations for future generations to build on. 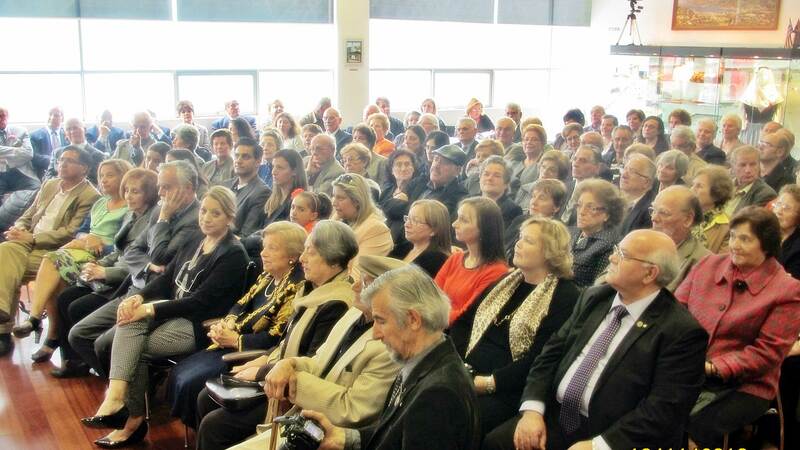 Forty four years on we find that the League has played a pivotal role in offering the Greek-Australian community a plethora of events promoting the Greek language, culture and generally the advancement of philhellenism in the Diaspora. This organization has written the literary history of Hellenes in Australia and has left a critical and vital mark in the continuation of the undertaking we have endowed from our predecessors. It is our responsibility to steer the correct course and maintain the same momentum in the years to come. Although the foundations are solid and the grounding is firm we are traversing a transition phase of modifications and adjustments, necessary changes for the continued viability of the League into the next generation.